The current political conflict in Ukraine has caused an unusual cultural heritage problem that has been difficult to solve both legally and diplomatically. 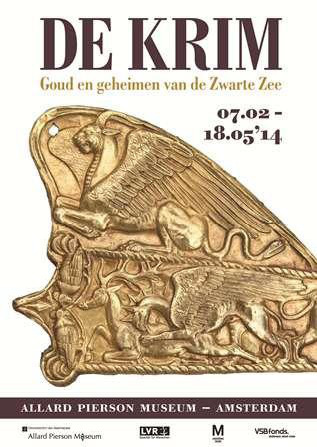 In February 2014, the Allard Pierson Museum in the Netherlands premiered an exhibit called “Crimea: Gold and Secrets of the Black Sea.” The exhibit included Scythian art objects from five Ukrainian museums—four of which are in Crimea. Ukraine had never before lent out so many Crimean treasures to an international exhibit. That same month, as a result of the Euromaidan revolution, Russia sent troops into Crimea, a referendum was held, and Crimea seceded from Ukraine and was annexed by Russia. In the Netherlands, the exhibit was scheduled to end in May, and both Ukraine and Russia claimed ownership over the loaned art objects. The Allard Pierson Museum found itself in a difficult political and legal situation, unsure of where to return the art objects in dispute. The museum decided to hold onto the art until a legal solution could be found. On November 19, 2014, the four Crimean museums filed a lawsuit in Amsterdam against the Allard Pierson Museum, claiming that the art objects should be returned to the institutions with the strongest cultural heritage ties. The main legal issue in this dispute will be proving rightful ownership. Ukraine claims to be the rightful owners of the cultural heritage artifacts because the Ministry of Culture signed the contracts with the Allard Pierson Museum and approved the exhibit abroad. Ukraine’s Culture Minister labeled the situation “of national security for the Ukrainian government’s cultural possessions.” The Allard Pierson Museum, however, also signed contracts with the individual Crimean museums, which are now part of the Russian Federation. The Museum seems to have a duty to Ukraine and the Crimean museums. The legal situation is further complicated because the majority of the world and the United Nations do not recognize Russia’s annexation of Crimea. Arguments regarding where the art objects should be returned go to both extremes. For example, Inge van der Vlies, a professor at the University of Amsterdam, argues that there is an ethical case for returning the objects to Crimea. However, because the Dutch government does not recognize Russia’s annexation of Crimea, it cannot return the objects to the Crimean museums due to its legal and political obligations to Ukraine. This Note analyzes respective legal arguments that Ukraine and the Crimean museums can make to prove ownership of the objects. Part I establishes several elements key to the subsequent discussion, including the political and historical background of this dispute, the relevant laws on a national and international level, and the role of ethics and morality in the field of cultural heritage laws generally. Part II will consider relevant cultural heritage case studies, including treaties that divided cultural property after countries broke apart, the Thailand-Cambodian border dispute and the temple of Preah Vihear, and cases involving Soviet nationalized art. Past case studies can provide examples of how countries solved cultural heritage disputes that contained similar elements to this Ukraine-Crimea dispute. Finally, Part III analyzes the legal arguments that are available to both Ukraine and the Crimean museums within the context of the Ukrainian laws, international conventions, and case studies discussed in Parts I and II. This Note argues that although the artifacts should be returned to the Crimean museums for moral reasons, the law as it stands does not support this position.